The changing roles of reporters and their online audiences--and the communicators who are go-betweens: The Guardian's head of digital engagement has created a visual that shows where the new action will be. For journalists, it lies in how involved they get with coverage after it's published; for users, how involved they get before stories are published. And just where, communicators, do you fit in? Mobile first, people--not secondary, not an afterthought. Too many communicators are focused on how much of a web page they can jam into a mobile interface, when in fact, they should be starting with the mobile offering first, and letting the rest flow from that. Steve Buttry's mobile first strategy for newspapers might help you start thinking this way. And consider that we've learned Facebook users are far more engaged and active when on mobile devices. It's not just where, but when, your audience is online that's important. 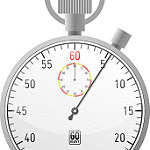 Timing--both day of week and time of day--plays a critical role for communicators. More data is now available on when audiences are accessing information and sharing it: data for blogging, data on how online news sites are used and when, and data on when Facebook users are most active. Your communications plans, tactics and staffing need to start reflecting these data in 2011. Limiting your publishing and broadcasting options to your own channels will backfire. If you're going to grow your audience, find audiences you don't know now and meet users where they wants to be, you'll need to get past your own publishing walls to use alternatives like Amazon, RSS, SlideShare and other publishing options. This advances your reach to the audiences who are increasingly seeking "on demand" media. Some trends just keep getting stronger. Online video continues to stand as the most popular, most-used format in social media--again, not a frill or afterthought for your audience. Two billion videos are watched daily on YouTube alone, and 24 hours of video are uploaded every minute. Facebook's half-billion users span nearly every age bracket, and its pages are a basic communications tool for corporations and nonprofits. Next come innovative uses of those stalwarts--for example, we're starting to see more online commerce options on both YouTube and Facebook, among others. If you were already a subscriber to For Communications Directors, my free monthly newsletter, you'd have received this article much earlier--the newsletter features content before it appears here on the blog. Sign up at the link, then head over to don't get caught on Facebook, where you'll see new social media trends, technology and communications issues as they crop up during the week--and great conversations with our community of communicators.